The CloudAccess.net API gives you the ability to enable users to launch your customized application (complete with your software preinstalled and pre configured) directly from your web property. You can earn revenue from any client that upgrades to one of our hosting and support packages. This article explains how to get started. First, if you haven't already done so, activate your CloudAccess.net Affiliate Account by logging into the Cloud Control Panel™(CCP). Once inside the CCP, select "Overview" below the "Affiliate System" option in the side menu. In the "Affiliate Overview" area, click on the "Activate Affiliate Account" button. 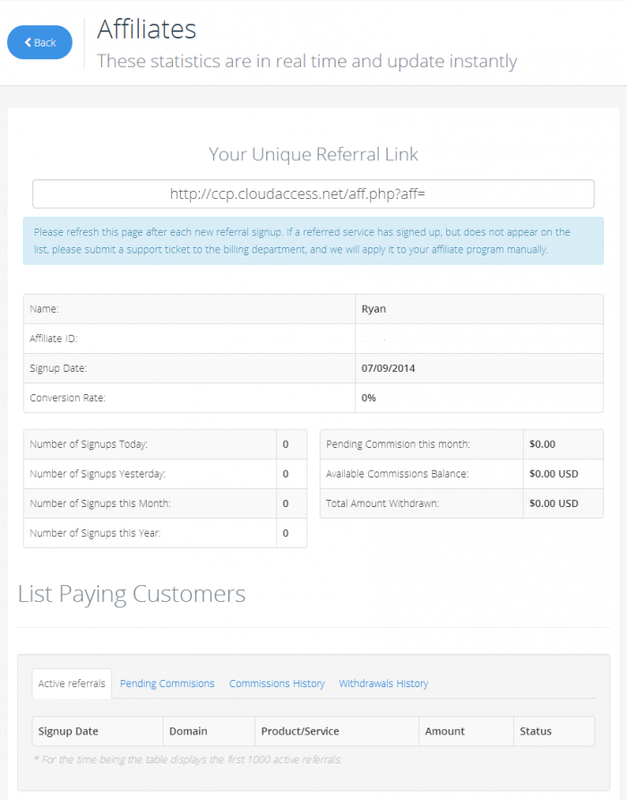 Once activated, your unique affiliate referral link will be displayed that you can start using to refer clients to CloudAccess.net. You'll also see statistics about those who have signed up using your referral link and comissions owed to you. 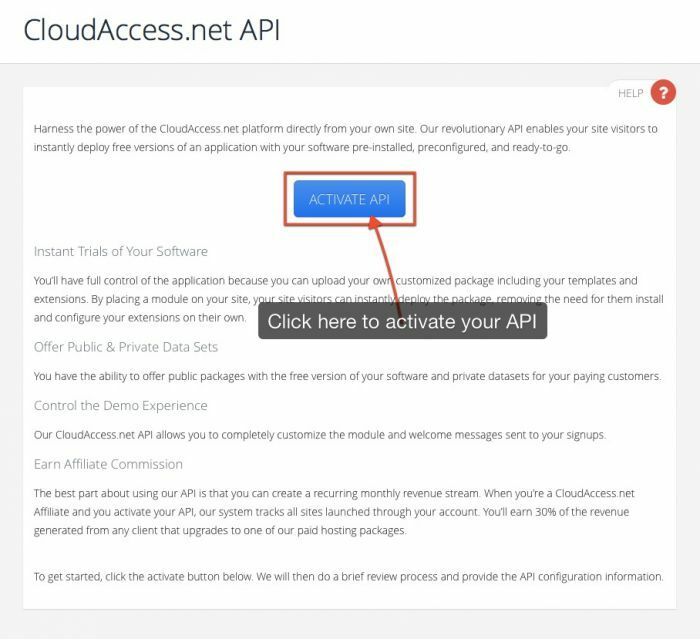 After activating your Affiliate Account, you'll need to request the CloudAccess.net API. To do this, click on the "Demo API" option in the side menu below "Affiliate System". In the next window, click on the "Activate Demo API" button. In the next window, you'll be asked to submit a ticket to our API department. Please answer all the questions completely. Once you're done, submit the ticket and we'll review your reqeust and get back to you promptly.